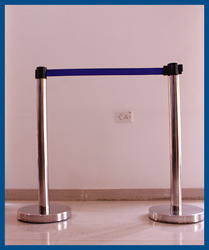 Pioneers in the industry, we offer barricade stand, que manager velvet rope, queue manager, queue stand, stanchion post and newspaper stand from India. 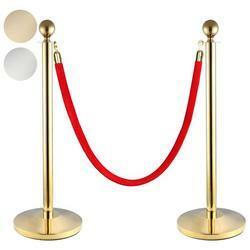 height of the pole: 3 ft.
Sturdy Stainless Steel Chrome finish Pole and Base. 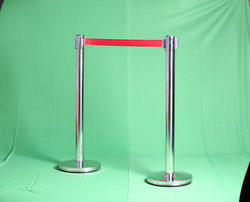 Heavy duty Base that holds the Stand stable and does not topple. Color tape color: Red, Blue, Green, Black. 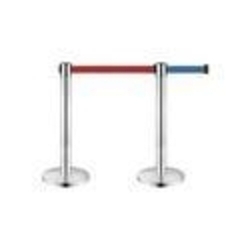 Sturdy Stainless Steel Chrome finish Pole and Base. 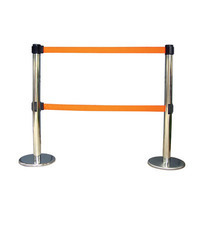 Heavy duty Base that holds the Stand stable and does not topple. 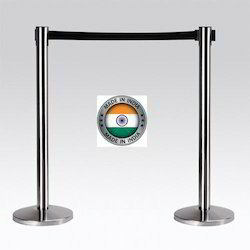 Imported Synthetic nylon Belt with logo printing Option. Height of the pole : 3 Ft.
Color of tape: red, blue, Green. Black. weight of the stand: 10.5 kg. 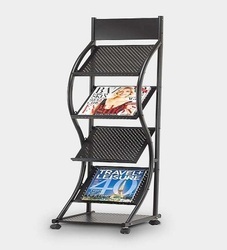 e are manufacturing and supplying a quality range of magazine stands that is available in various designs.